Friends was about a group of twenty-somethings trying to find their way in the world. It lasted for over ten seasons and, during that time, the six friends experienced a series of marriages, divorces (Ross…we’re looking at you! ), various career changes and even pet monkeys. In the pilot episode the main cast look remarkably fresh-faced, and let’s face it, by the end of its ten year run, the actors and actresses had still barely aged a day. But how old were they when filming started? And did this match the ages of the characters they played? In fact, if we take a look at the real ages of the Friends cast members then some interesting things start to appear, from Rachel’s changing birthday to Ross’s amazing ability to freeze time. 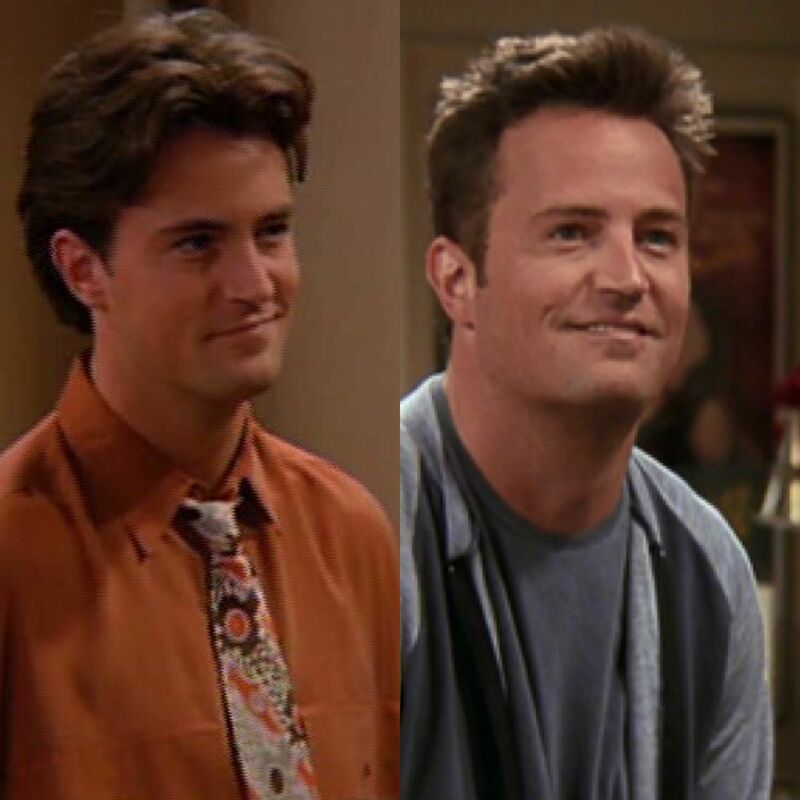 Matthew Perry was actually the youngest cast member of the group at only 25 years old. 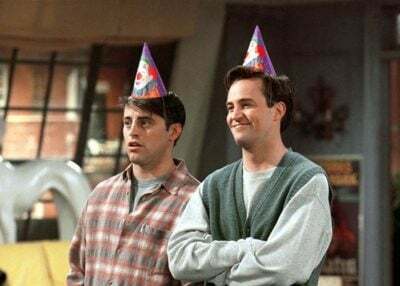 Therefore he wasn’t far in age at all from his on-screen counterpart Chandler Bing, who was meant to be 26 at the beginning of the series. In the show, Chandler’s birthday was more than likely around early April, which would make him an Aries. Popular ex-cheerleader Rachel Green was 24-25 years old when she came bursting into the pilot episode in her wedding dress. This wasn’t far off Jennifer Aniston’s real age, which was also 25. However, Rachel’s birthday month changed a lot – in two episodes it was in May, but later on it’s clearly stated that her birthday is in February. 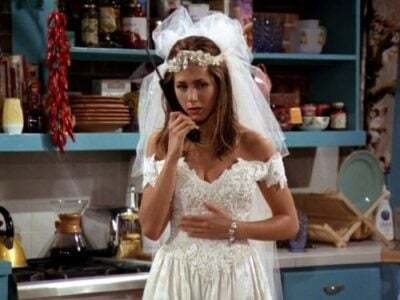 For example, at one point she clearly tells Gunther that her birthday is May 5th, and this is later confirmed in ‘The One Where Rachel Finds Out’ and ‘The One Where Rachel Smokes’. However, her 30th birthday party is celebrated in February, which later makes sense when she tells a police man that she is an Aquarius (Jan. 21-Feb. 19). The February change might have been made to match Aniston’s real-life birthday, which is the 11th February. 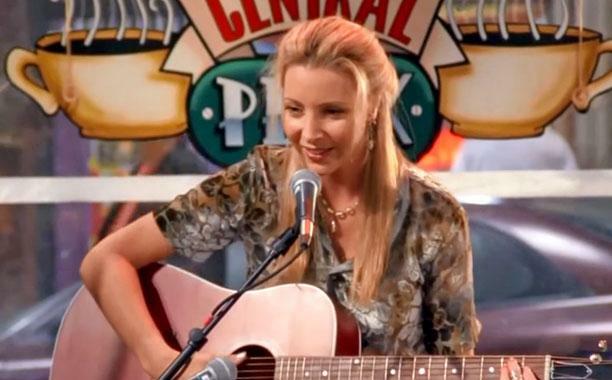 Lisa Kudrow was the oldest cast member to star in Friends. She was 31 years old when the series first started, a little older than quirky alter-ego Phoebe’s age of 27-28 years old. Like Rachel, her birth date changes over the course of the show – she states early on that she was born on February 16th, but in a later episode Joey suggests that Phoebe’s birthday is around Halloween. In ‘The One Where They All Turn Thirty’, Phoebe famously discovers that she is actually 31, and not 30 years old like she thought. Her twin sister Ursula shows her a birth certificate which confirms she is the oldest of the Friends. 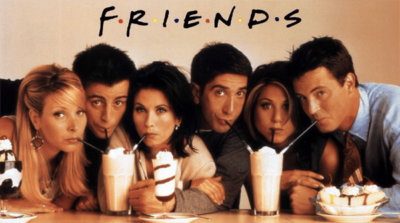 Monica’s age changes several times over the course of Friends, which at one point creates a major character flaw when compared to the age of her brother, Ross. Like her best friend Rachel, Monica’s age is 24 in the pilot, but this later changes to 25 and then 26 before season one has even finished. This makes little sense considering her older brother Ross was supposed to be 26 at the start of the series. The age-change would mean that she’s 29 at the start of the fourth series, which is impossible because Ross mentions that he is 29 in series 4. In real life, Courteney Cox was also considerably older than the character she played. Courteney was the second-oldest cast member when she filmed the pilot at age 30. 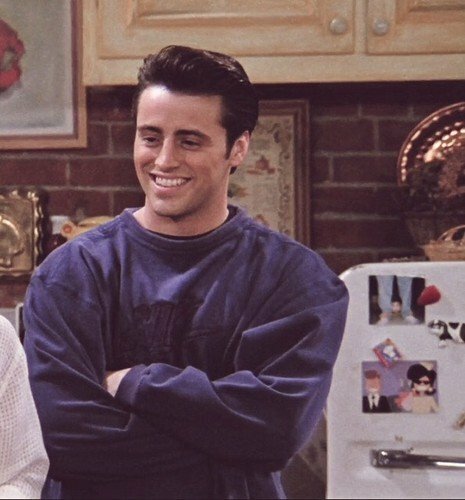 Matt Le Blanc was 26 during the filming of season one, around the same age as hunky aspiring actor Joey Tribbiani, who was 25-26 years old. However, during the series Joey’s age seems to jump around a lot. In ‘The One With the Birth’ Joey states that he is 25 – so far so good. However, less than a year later Joey’s age has jumped up to 28 years old! 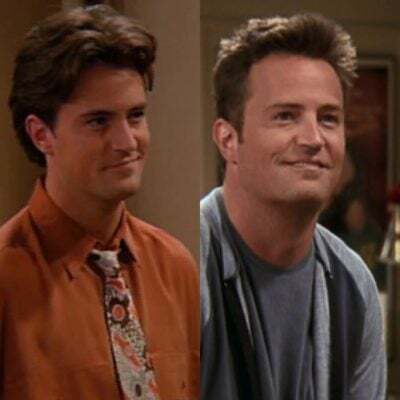 Furthermore, all the references that Joey makes to his year of birth are inconsistent – for example, in ‘The One With Joey’s Fridge’, he mentions spring break in 1981 and Monica comments, ‘You were thirteen’, changing his age once more. In the end, Joey starts the season at age 25 and finishes it at age 36. 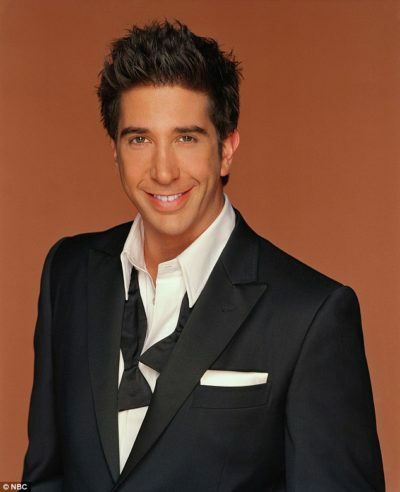 David Schwimmer was 27 when Friends began filming, which made him only a couple of months older than his on-screen counterpart Ross Geller, who was 26-27 years old during season one. Although he began the pilot at 26 years old, this quickly moved up to 27. Over the course of the show, Ross possesses the ability to keep his age the same over three(!) seasons. In seasons 3, 4, and 5, whilst all his friends are growing older, Ross stays 29 years old over the course of around 60 episodes! The writers weren’t too sharp when it came to Ross’ age as his birth date also changes several times, beginning on October 18th but then changing to March and even December. Ross was the oldest friend when the finale aired, having reached 37 years old.